model, the new generation of masters has been world-widely introduced, who is Hajime Kinoko. the body with rope. And then, the emotions two parties have shared in that time remain dimly as rope marks on skin. Rope marks on your skin usually disappear in about 10 days. Over time as a woman gets used to being tied the marks will last for less and less time. From 7 to 5 to 3 days and eventually she has a body which will show no marks. In this exhibition, Hajime Kinko, as rope artist, has tied women all over the world, not only have works been made from the rope but after untied and released numerous works have been made of the marks that were left behind. "NASA Ato", a photo book of this work will be released at the exhibition. If you make any purchase of goods at the exhibition then you will receive a complementary limited edition bookmark. Kinko will be present at the exhibition Since there is also possibility of change, I recommend you to check with Hajime Kinko's Twitter in advance. We will also inform you about the status of the model. 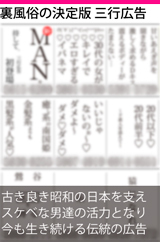 If you spread the article of Hajime Kinko on social media or you write an article by yourself, it will be free entry. Please show me the article at the reception desk. ※ For free entry please share the article on social media. On entrance you will be asked to show the screen where you shared it.